SEPTEMBER 11--Last week we brought word of the arrest of Kenneth Smith, a Florida man busted for wearing baggy pants that exposed his boxer shorts. Well, it turns out that the Riviera Beach cops have been rather diligent in enforcing a new city ordinance targeting droopy shorts and trousers, according to police reports. Since officers began their crackdown last month, they have arrested at least 11 other baggy pants perps (of that group, two are juveniles). 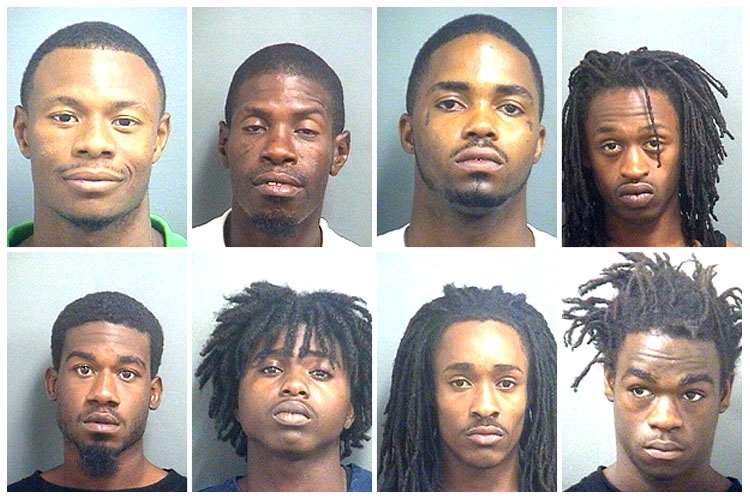 Mug shots of eight of the other nine arrestees, aged between 18 and 36, can be found here. 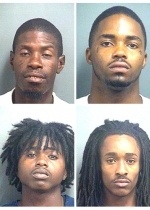 As seen in a series of Riviera Beach Police Department probable cause affidavits, each of the males was nabbed after officers determined that low-slung pants or shorts had resulted in the exposure of between two and five inches of the individual offender's boxer shorts. While most of the busts occurred without incident, a few of the arrestees appeared bewildered that they were being arrested for a trouser-related offense. Submitted by Insain1 on Fri, 2010-09-24 04:55.